McMath carries both Wolverine AC and DC hazardous location pumps. 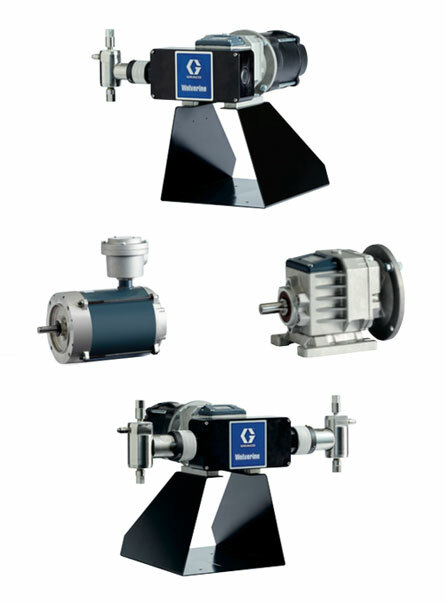 When safety and reliability are critical, operators rely on Wolverine pumps which are designed to operate in applications requiring class 1, division 1 rated products. The Graco Wolverine Pump has flow rates up to 320 gpd (1,211 Ipd) and a pressure rating up to 10,000 psi (686 bar). The Wolverine Pump has precision stroke adjustments between 1/2 inch to 1 inch which insures accurate injection rates. McMath controls stocks all variations of the Graco Wolverine Pumps, along with repair kits and replacement parts in our warehouse.